This was the first year that the donations from the profits of the Festival were made to Greenpeace and Oxfam. Michael Eavis felt that with the ending of the Cold War that people’s concerns had shifted away from the possibility of nuclear war to the concerns of the environment. The Festival was also linked with National Music Day and the surprise guest was Tom Jones. £250,000 was donated to Greenpeace, Oxfam and other local charities. 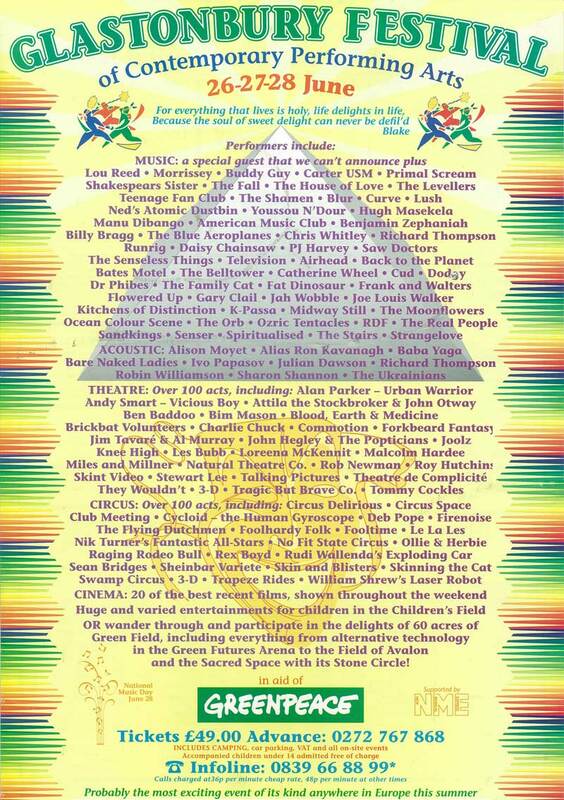 Acts included: Carter USM, Shakespear’s Sister, Primal Scream, P J Harvey, Sawdoctors and The Levellers.